Want cancer on the political agenda? What is a Campaigns Ambassador? 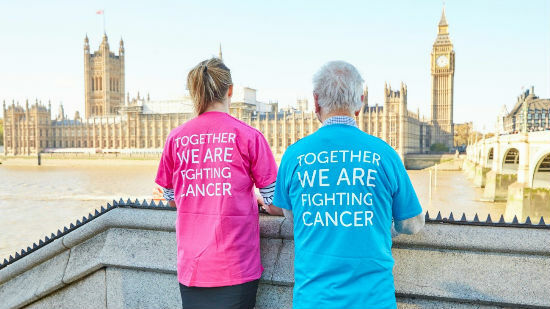 Campaigns Ambassadors save lives by persuading politicians to support better cancer policies. Just by talking to their politicians, Ambassadors help change Government policy. They campaign on cancer prevention, early diagnosis, science research and access to treatments. • Writing to your local politician. • Meeting in person with your local politician. • Sharing our campaign messages on social media. • Feeding back local information to Cancer Research UK. By meeting with my MP and explaining the importance of standardised cigarette packaging, I won his support. I felt I made a real difference in our efforts to beat cancer sooner. I’ve developed my communication skills, particularly my writing and public speaking skills. I've also developed skills in influencing, organisation and time management. All of these will be extremely useful both in my personal and professional life. Is this volunteer role right for me? You’ll do your campaign actions in your own time, at your own pace - so you need to be organised and a ‘self-starter’. Campaigns can last for a long time before we succeed - you'll need to be determined and resilient. You don't need experience of campaigning or politics to be an Ambassador. You'll be taking part in campaigns set by Cancer Research UK - you won't be designing your own campaigns. Having taken part in several successful campaigns, like ‘A Voice for Radiotherapy’, I’ve experienced the powerful impact that campaigning can have. The Ambassador role is flexible and easy to fit in whenever you have time. In the last campaign, I emailed my MP and tweeted from my phone in my lunch break. Want a chat about the role?